When it was over, everyone took a sigh of relief. The collapse never finished, the Penguins ended it. They stared their past in the face and the past blinked. Just more proof these aren't the Penguins of the past. 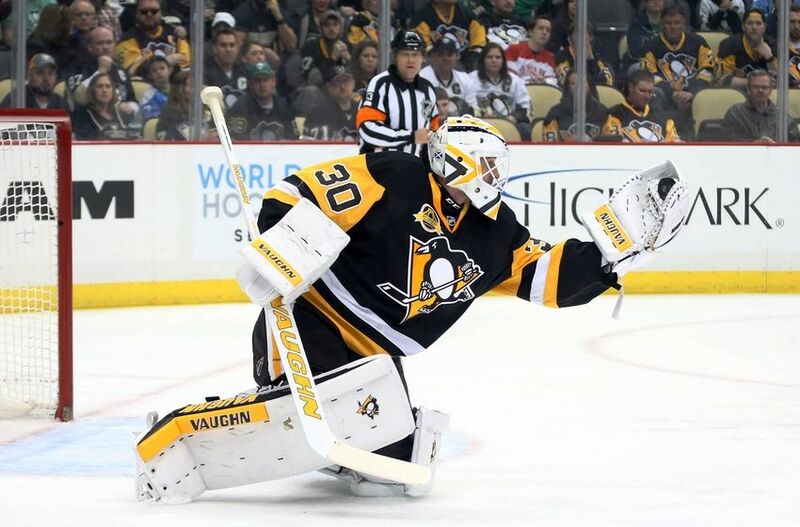 By beating the Washington Capitals in six games, the Pittsburgh Penguins advanced to the Eastern Conference Finals for the fourth time in eight years. That's only one behind the Blackhawks for the most since the 2004-05 lockout. Yet Penguins fans were down on their team. It's understandable, too. Much was expected of these guys yet year after year they not only did not deliver, they fell apart in the most embarrassing of ways. It made fans wonder whether they'd ever truly feel good about their team again. Slowly but surely these Penguins, these different Penguins, are erasing those stains and making fans believe in them all over again. Their first round opponent was all too familiar. The past two years two different coaches had been at the helm with the intent of dispatching the New York Rangers. Each year they failed in different yet uniquely spectacular ways. Dan Bylsma saw his team fritter away a 3-1 series lead, a hallmark of his time coaching the Penguins. 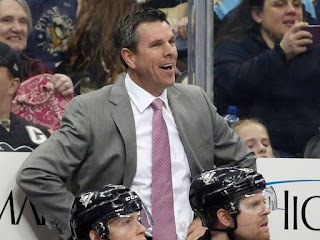 Mike Johnston saw his team barely compete (though not entirely the fault of his) to the point where their one win was seen as a series victory. For the Pittsburgh Penguins, THE Pittsburgh Penguins, this was seen as failure that should not stand. Indeed, both coaches paid the cost of these things. Though a circuitous and winding route, it led to the promotion of Mike Sullivan. And Sullivan has breathed new life in to this team, one winning fans over and each round showing them that they're a different team. 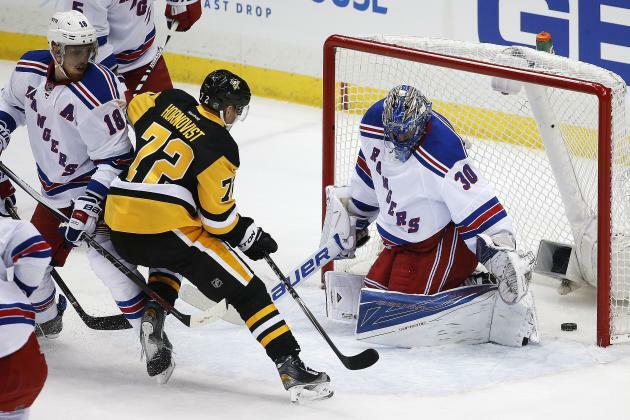 This time around the Penguins had little to no issue with the Rangers, out classing them in five short games. On top of that, they did so against all odds. They won with their third string goaltender. They won with a rookie in net, who out-dueled one of the best to ever play in Henrik Lundqvist. The Penguins had finally gotten past the Rangers. Next stop? Washington, DC. The Capitals. The best team in the NHL. One of the Penguins more hated rivals. The ace up the Penguins sleeve? Matt Murray. 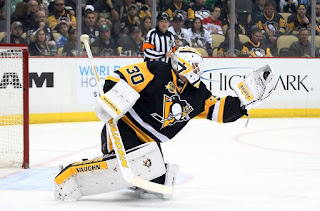 For years it seemed the Penguins would in to the Hot Goaltender. Jaroslav Halak, Tuukka Rask, Henrik Lundqvist, they'd all stopped the Penguins when they seemed poised to win it all. This time they had the Hot Goalie in their 21 year old rookie goaltender. Turning aside Alex Ovechkin for the most part, shutting down the potent Capitals offense, Murray frustrated Capitals fans in a way that Penguins fans were far too familiar with. Leading the series 3-1, the Penguins seemed to be in the driver's seat and fans should have felt good about it. However the previously mentioned history of blowing those seemingly insurmountable leads made everyone cease up with each shot on net. Losing Game 5 was worrisome, but a 3-0 lead heading in to the 3rd period of Game 6 made everyone feel better. And then one goal. Then a second. Then three delay of games in a row. Then a third goal. These Penguins were back. They were going to choke away this game and there's no way they win Game 7. Instead Nick Bonino sent them home winners in overtime. It was their second overtime win in a row after having lost eight overtimes running. Another one off of the list. Having the hot goalie? Check. Not collapsing when they would have? Check. These Penguins are different and they're proving it every round. Now it turns to the Eastern Conference Finals where the Penguins have one more ghost to clear from their closet. Where a season with such promise, a team with so much talent found itself cut short in embarrassing fashion at the hands of a sweep by the Boston Bruins where the Pens' big guns went silent. On top of that, they're playing the Tampa Bay Lightning. The same franchise that saw this core blow their first 3-1 series lead in what would seem to become that trend of them blowing that lead. Yet another cobweb to shake from the heads and minds of not just the players who have been around long enough, but the fans who have wearily watched. Beat the Lightning, a team they should handle, and the fanbase can finally feel renewed. Exorcised would be those demons that have haunted them and those who filled Consol Energy Center, as well as Consol itself. A trip to the Finals, the third for this core, will bring more life to the fanbase, renew the hopes and dreams of those who deemed Crosby, Malkin and all "too old" with a "window closing" and make history look back on them as far more than the failure everyone deemed them to be. Four more wins and everyone can breathe. No pressure... right?